Based on polling conducted by Data for Progress in late July, student debt holders are currently somewhat less enthusiastic about voting in the midterms. 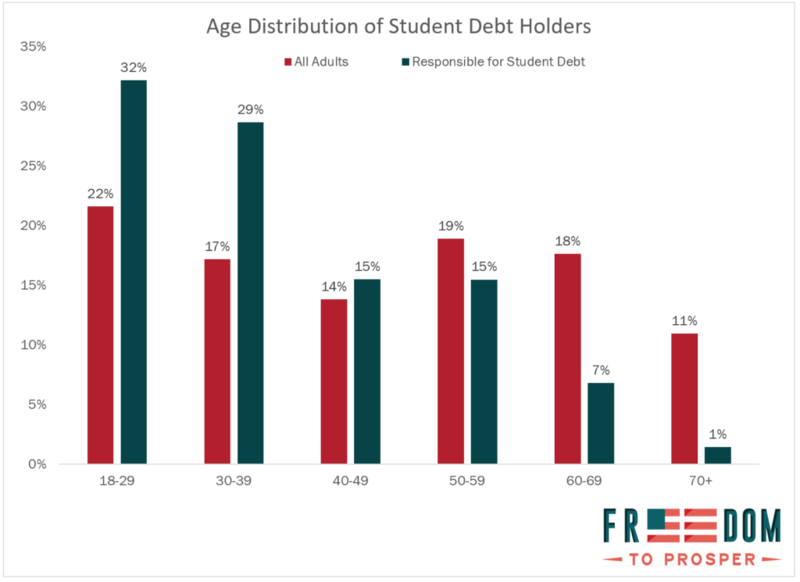 Only, forty-two percent of student debt holders report being “very” enthusiastic about voting in November, compared with 48 percent of non-student debt holders. 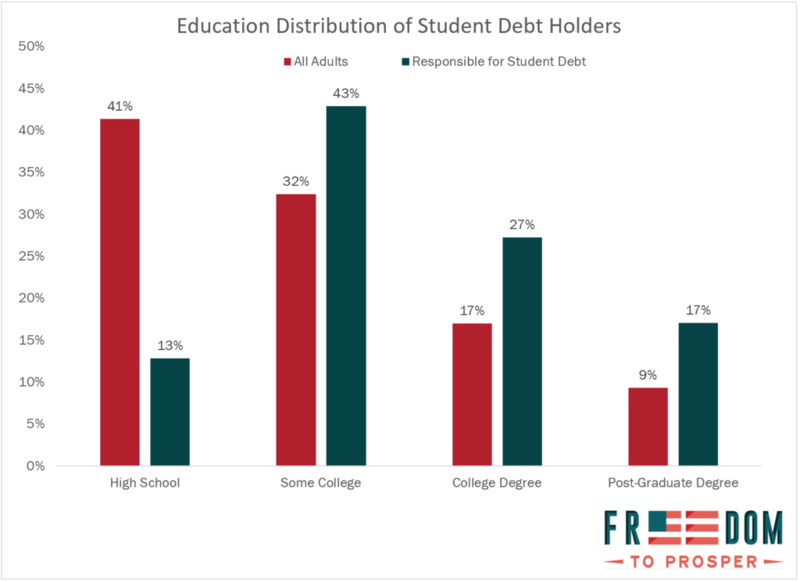 Our research shows that if student debt holders matched the enthusiasm of non-student debt holders, it could determine control of the House of Representatives. Our research shows that one in five adults are currently responsible for paying off a student loan. Perhaps surprisingly, more than half of individuals over the age of 26 who were responsible for paying off a student loan do not have a college degree, according to the Cooperative Congressional Election Studies (CCES) 2016 survey. Forty-five percent of those who did not complete a degree defaulted on a loan within 12 years, compared to 8 percent of bachelor’s degree recipients, according to the Beginning Postsecondary Students survey from the National Center for Education Studies. One in five people responsible for paying off a student loan is over the age of 50. Forty-seven percent of voting-eligible adults are over 50. Both the number of older Americans with debt and the average debt burden for older Americans have increased significantly over the last decade: between 2005 and 2015, the debt burden for those over 60 went from $12,000 to $23,500. Some of these people are paying off their own debts, and others are paying off debts incurred by relatives. According to the Federal Reserve, 5 percent of adults report borrowing to finance a grandchild’s education (note that they’re looking at all forms of credit, so it could be a student loan, but it could also be something else, like credit card debt). Older Americans can be subject to Social Security garnishment if they fall behind on their debt: in 2015, 114,000 borrowers were subject to Social Security garnishment, according to the Government Accountability Office (GAO). Student debt holders are spread throughout the country, and the student debt burden weighs particularly heavily on midwestern and plains states. Sixty-four percent of individuals paying off a student debt are white, 17 percent are black, 11 percent are Latino and 7 percent are another race. Among individuals paying off a student loan without a degree who are over 26, 59 percent are white, 22 percent black, 14 percent Latino and 5 percent are another race, according to Cooperative Congressional Election Studies 2016 data. Among individuals paying off a loan without a degree over the age of 26 and with an annual family income under $50,000, 55 percent are white, 28 percent are black, 13 percent Latino and 4 percent of another race. Seventy eight percent of black students borrow to pay for their college education, compared with 58 percent of Latinx students, and 57 percent of white students. After 12 years, African American borrowers had balances that were 113 percent of what they originally borrowed, whereas white students had actually made progress in paying down their debt (the median percentage was 65 percent of original balance). Latino borrowers had paid down a bit of their debt, but the median percentage of original balance was still 83 percent. Nearly half of African American borrowers defaulted on a student loan within 12 years. Even for those who completed a degree, the rate of default was still high (about 25 percent for bachelor’s degree recipients).